Striding along with your hands in your pants pockets is often associated with being carefree–unless you are a woman. Then you might be lucky if your pants even have pockets. And if they do, they are likely to be flimsy and shallow. They seem to be for ornamentation and not much else. In contrast, men’s garments seem to be full of pockets–secret pockets tucked inside the lapels of their jackets, pockets in their work shirts and T-shirts, sometimes pockets within other pockets. And most of these pockets are sturdy and deep, made for real utility. There’s a gender divide when it comes to clothing and pockets, and there’s good reason why many women fume –or ought to–about the situation. Centuries ago–think the 17th century–what passed for “pockets” were actually pouches, tied around the waists of both men and women. 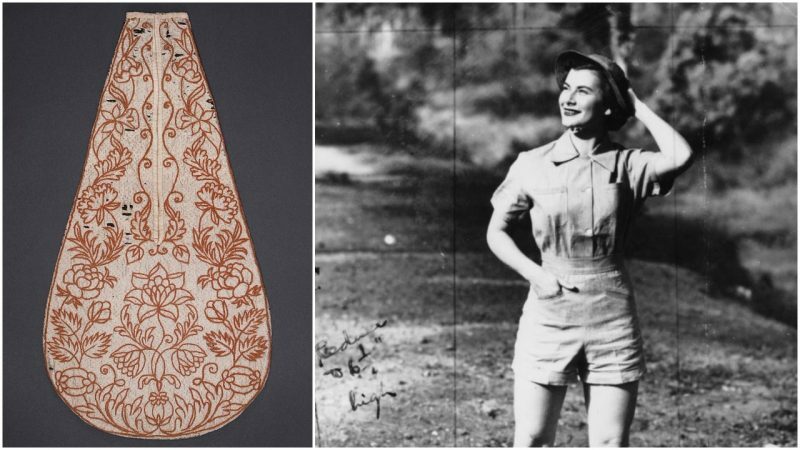 The large skirts of that time period meant that women could wear the pouches on the outside or hide them by tying them on their waists under their skirts. 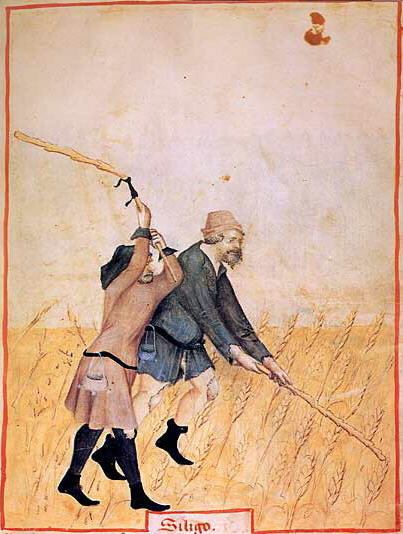 As the Industrial Revolution swept the world, people had more to carry. 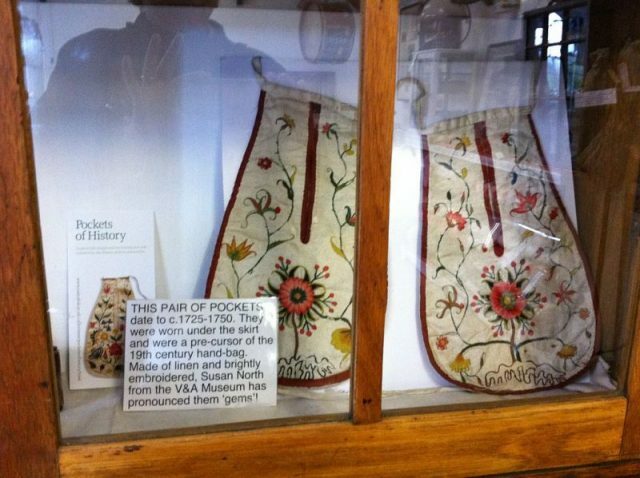 But while men’s pouches became incorporated into the clothing itself, women’s were not. And with full skirts falling out of fashion, the hidden pouch option became less viable. 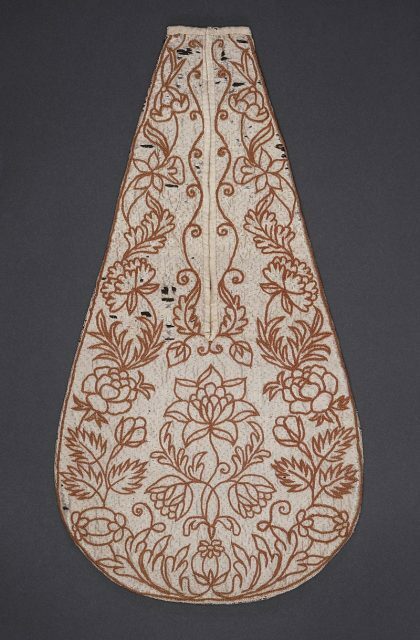 Women were forced to carry larger external purses, which also meant at least one hand was needed to hold or secure the purse, often while the other struggled with children. That loss of freedom did not go unnoticed, and pockets of resistance began to emerge. In 1891, the Rational Dress Society was founded in London to lobby against corsets and other restrictive clothing and push for more comfortable and utilitarian options for women. Charlotte Carmichael Stopes, a member of the Rational Dress Society, managed to get added to the speakers list of the 1889 meeting of the British Association for the Advancement of Science. She educated them on the inequities, danger, and discomfort of women’s wear at the time. Her speech, in which she talked about combining grace and beauty with comfort and convenience, was carried by newspapers throughout Britain. Her message was the biggest news to come out of the event. Some have attempted to make changes. 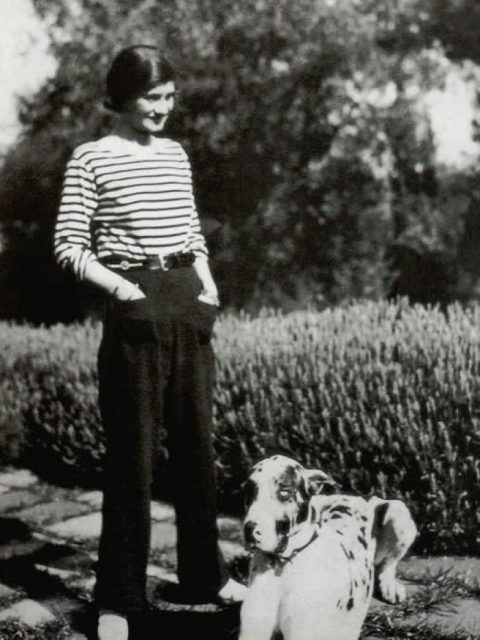 Famed designer Coco Chanel began sewing pockets into her distinctive jackets in the 1920s. Changing roles also influenced the movement. During World War II, when many women had to take on jobs that were traditionally male, they took on their more practical clothing, as well. They found themselves practically swooning with the freedom offered by pants with pockets. In the 1960 and 1970s, many women began wearing pants more regularly – adopting the sturdy, multi-pocketed Levis blue jeans that had long been worn by working men. But by the 1980s, even blue jeans were sexualized and corrupted. Tight-fighting, flimsier “designer” models emerged, with pockets a woman could barely put her hands in. Women also were charged a premium price for the lower quality product. More and better clothing with useful pockets is emerging, but as most women could tell you, these items are the exception. Anthropologists who study the issue put the blame on male dominance in the fashion industry. The designers complain pockets get in the way of a product’s “clean lines,” but some women complain clothing should be more about function, rather than presenting the woman as a form to be appreciated for appearance only. Others say the lack of pockets is a ploy to sell purses. These days, the argument is spilling into new ground. Much of what passes for women’s workout gear has been pared down to minimal sports bras and yoga pants. And in the outdoor industry, where utilitarian clothing can be matter of life and death, gender differences are still clear. In general, the fabrics in men’s clothing is of higher quality, and the pants and shirts have bigger, stronger pockets and more of them. With the pace of change moving at a limp, many women are responding in the only way they know how: picking up more practical clothing from the men’s lines. This entry was posted in BUSINESS, England, Europe, Fahion, History, Science, Travel, World and tagged Britain, fashion, History by rolyred. Bookmark the permalink.